Do you remember where you were the first time you heard Queen’s “Bohemian Rhapsody” ? I sure do. I was 14 years old, just hanging out in my bedroom, and when “Bo Rap” — as we used to call it — came on the radio, I thought it was the most mind-blowingly amazing thing I had ever heard in my life up to that point. In a lot of ways, it still is. “Bohemian Rhapsody” was the song that changed everything; a song that recalls a special moment in music history that — like the greatness of The Beatles — will never repeated. 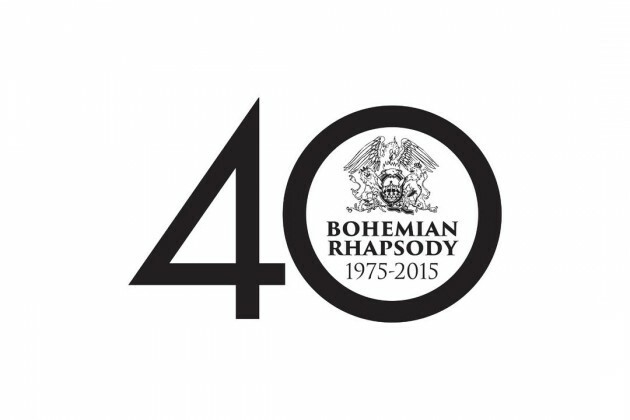 At The Q Awards, held October 20th, in London, Queen were presented with the Classic Song Award, marking the 40th Anniversary of “Bohemian Rhapsody,” which was originally released October 31, 1975. To mark the occasion, and just in time for Black Friday Record Store Day, “Bohemian Rhapsody” will be released as a 12 inch limited edition vinyl, with the original B-side “I’m In Love With My Car,” on November 27th. Spirits were high within the band for this show; “Bohemian Rhapsody” – universally hailed as one of the most ground-breaking ‘pop’ songs ever released – was in the middle of its record-breaking nine week run at #1 in the UK charts. Their fourth album, A Night At The Opera (the most expensive record ever made to that point) was climbing the album charts on its way to the number one spot, which it achieved three days after this concert. Queen guitarist Brian May recalled recording “Bohemian Rhapsody,” offering that “[It]was a great moment, but the biggest thrill for us was actually creating the music in the first place. I remember Freddie coming in with loads of bits of paper from his dad’s work, like Post-it notes, and pounding on the piano. He played the piano like most people play the drums. This song he had was full of gaps where he explained that something operatic would happen here and so on. He’d worked out the harmonies in his head.” Fascinating. Queen spent days overdubbing the vocals in the studio using a 24 track tape machine. By the time they were done, about 120 vocal tracks were layered together. The opera parts alone took longer than 70 hours to complete. At the time, it was the most expensive single ever made and upon presenting it to their record label, they were told by various executives that 5 minutes 55 seconds was too long and the song would never be a hit. But after the song was played 14 times in two days by DJ and friend of Freddie’s, Kenny Everett, it was destined to be a hit. Hordes of fans attempted to buy the single only to be told by record stores that it had not yet been released. Here in the US, it was the same. American radio RKO managed to get a copy of the tape and started to play it across their stations, which forced the hand of Queen’s then-US label, Elektra, to release the song in its entirety. 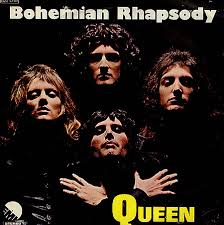 “Bohemian Rhapsody” was Queen’s first ever #1 single and the 1975 UK Christmas #1, holding the top position for nine weeks. It is also the first song ever to get to number one in the UK twice with the same version.